This is a step-by-step guide on how to get from Malta International Airport to Valletta using public transportation. Valletta is the super gorgeous capital of Malta. It is small but very picturesque. 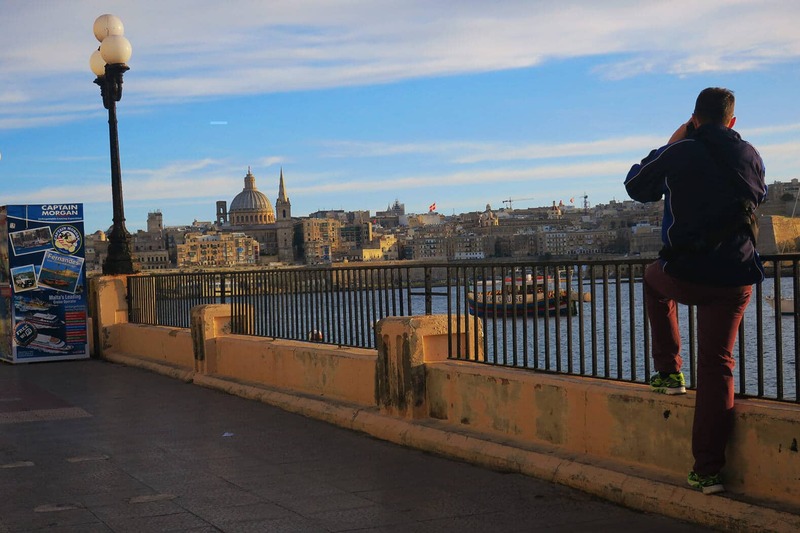 Naturally, for many first -time visitors, they choose to stay in Valletta during their time in Malta. 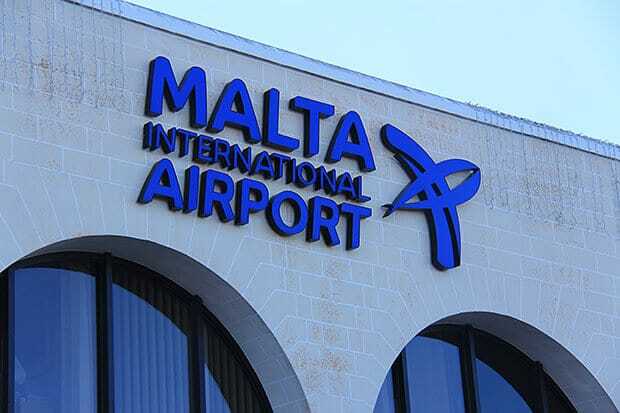 If you don’t know it already, Malta International Airport is the main international airport in Malta. It accommodates all international flights to country including doing coming from major destinations like Amsterdam, Athens, and London. Fortunately, getting from Malta International Airport to Valletta is made easy and convenient. You can always take a taxi, but if you’re visiting Malta and would like to use other public transport to get to Valletta from Malta International Airport, you came to the right place. The cheapest way to get to Valletta from the airport is by taking a bus. Malta Transport management has created “ Express Buses” that go to and from all major neighborhoods on Malta island and Malta International Airport. How convenient right? This is just one of the many reasons why Malta is a great holiday destination. Taking the Express Bus to Valletta from the airport is very convenient. This is an excellent option if you have the time and don’t have too much luggage. Step 1: Walk to the Arrival Hall of the Malta International Airport after clearing Immigration and Customs. Step 2: Decide whether you want to buy a one-way ticket or a multi-day pass. You can buy a multi-day pass from the Information and Sales Office of the Malta Public Transport. You can purchase a single journey ticket when you board the actual bus. Step 3: Make your way for the Express Bus Bays. The bay area is just across the Departure Hall of the airport. Take note that there are FOUR express bus service routes available. These are are X1, X2, X3, and X4. Each bus route has a dedicated bay. Step 4: Go to X4 Bay because you need to board the X4 Bus. The X4 Bus goes to Valletta. In fact, Valletta is its first stop. The ride from Malta International Airport to Valletta is less than 20 minutes, if traffic is not too heavy. Step 5: Pay the driver to get a one way ticket if you don’t have a ticket yet or a multi-city pass. Prepare to give small change to the driver. Be warned that most drivers may not accept large notes. Step 6. Arrive at Valletta Main Bus Terminal. Depending on where your hotel is, you may need to take a cab or just walk. Valletta is small so it is possible to walk to most places. Check the distance between your hotel to the main bus terminal before your trip so you can decide on how to get there. Malta Express Buses is operated by the Malta Public Transport. The express buses run from 5:30 am to 11 pm. 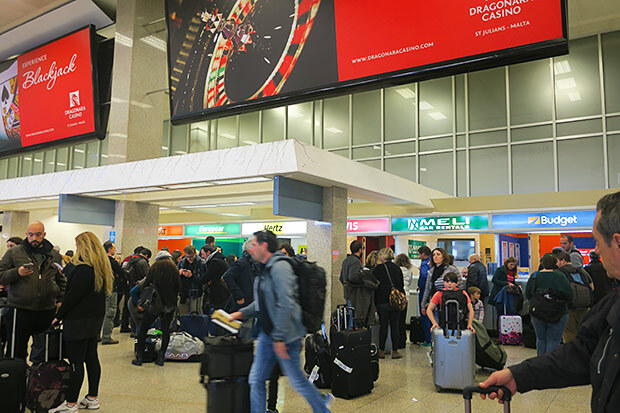 If your flight arrives after 11 pm, you may need to take a taxi to get to your hotel. As far as we know there is a night bus service, but it only runs during public holidays, and from Friday to Saturday nights. 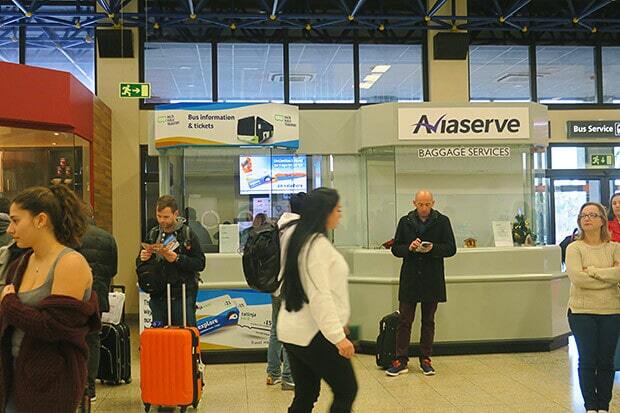 If using the Express Bus is not something you want to do; you can opt to rent a car from Malta International Airport. Renting a car in Malta is relatively cheap compared to other major European destinations so it is definitely a viable option for most middle-class travellers. There are many international and local car rental companies that operate in Malta. Most of them have booths set up at the airport. You can book a car online and just pick it up after you land. Booking online ahead of your trip is a specially good idea in the summer when Malta get the most number of tourists. Taxis are available to book at the Malta International Airport. They go to Valletta and other locations on Malta Island. 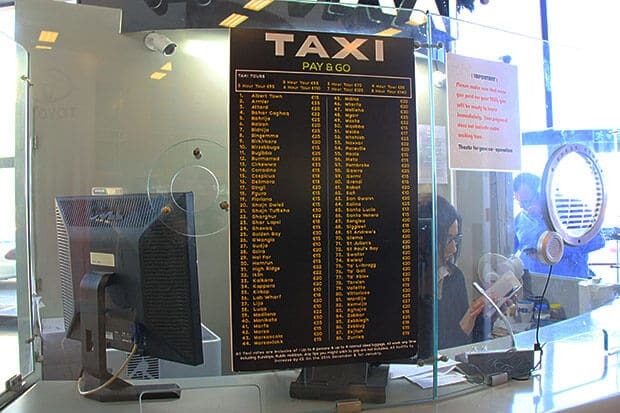 Taxis at the airport can be booked at a set price so you will know how much it will cost before you even get in the car. Step 1: Go to the Valletta Main Bus Terminal. If the Main Bus Terminal is a bit far from where you stay, check out the nearest bus stops to your hotel. These stops have a timetable and will show if the X4 bus stops there. Step 2: When you arrive at the Valletta Main Bus Terminal, find the bus bay where the X4 Bus picks up passengers. Step 3: Get on Bus X4 and pay the driver for a one-way single journey ticket. Step 4: Arrive at the Malta International Airport. 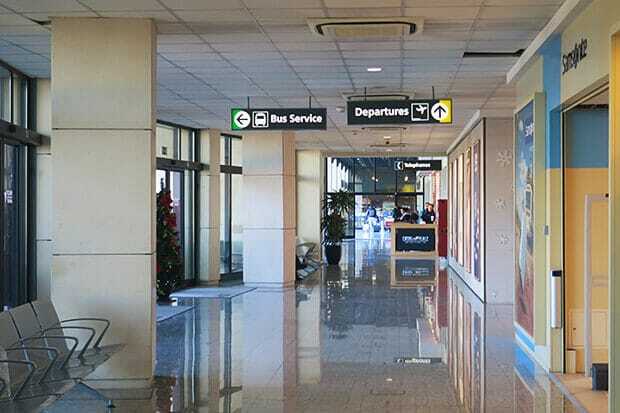 If you walk across the street by the designated bus bays, you will reach the Departure Hall of the airport. Take note that Malta is busier in the summer, which means more passengers coming in and out of the island. If you want to use the Express Bus to get to the airport, alocate plenty of time for transit. Express Buses can get full easily during the busier months. You may have wait longer at the bus terminal. 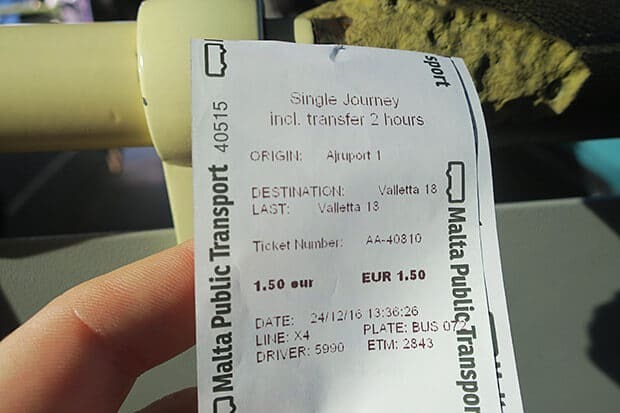 There you have it, the step-by-step guide on how to get from Malta International Airport to Valletta using the public bus. As mentioned, this route is easy and straightforward. If this guide has helped you in planning your trip, share it to help other travelers to Malta.